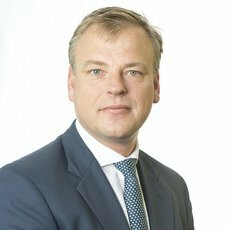 Paul Kuipers is a partner at Linklaters LLP and head of the finance practice of the Amsterdam office. He specialises in a wide range of insolvency-related matters, stressed and distressed reorganisations and asset recovery (including the enforcement of security). Paul Kuipers has been admitted as an attorney-at-law at the Dutch Bar since 1996 and has over 20 years of experience in the field of national and cross-border insolvency law. He is a regular speaker at conferences and seminars dealing with various restructuring and banking issues and has also published on finance and insolvency topics in both Dutch and international legal literature. Current memberships include: the International Bar Association (Section on Restructuring and Creditors Rights), INSOLAD (the Dutch insolvency specialist association), INSOL Europe (the European insolvency specialist association), the Netherlands Association for Comparative and International Insolvency Law and the Dutch Corporate Litigation Association.